Their ability to expand their music without denying their traditional instruments has enabled them to experience new forms and record with musicians such as Jon Hassell, the Rolling Stones, Ryuichi Sakamato, Daniel Lanois, Billy Cobham, Joji Hirota…they played several times at the Montreux Jazz Festival, and for 72 000 listeners at the famous Nelson Mandela’s birthday concert in the London Wembley Stadium. But they stayed faithful to their own track. So while integrating new orchestral forms and melodies, and adding contemporary sounds (guitar and keyboard), the balafons, koras, flute, djembes, tama, and baras still remain the core and hearth of their music. Last but not least, the arrival of a female voice introduces a new colour to this up till now male only ensemble. Aryo Adhianto: West Africa—in which there is Ghana, Mali, Senegal, Nigeria, and of course Burkina Faso—is perhaps one region in Africa that hard to find rivals in the realm of rhythm, melody, and texture; What is exactly the common musical tradition(s) among them? The Djembe, the Doum doum, the Sabar (percussion) is traditionaly from Senegal… you can find the Djembe and the Kora, N’goni (bass guitar) in West Africa. This file is licensed under the creative common (N’Goni). source: Musée de l’Homme, Paris; Permission granted by the museum to redistribute with attribution (Djembe). source: Canadian Museum of Civilization (Kora). What are the unique characteristics of Burkina Faso? Traditional music – the way to approach, to play with the instruments and the rhythm and the dance are different from the others countries. So basically it depends on the environmental settings from each country? West Africa is a region and the countries inside are different. Before the countries were separated, it was a big empire – the Mandingue Empire. Right… And how do you think the West Africa can reaches such “level” in a continent that is known to many people as one of the musical centers in the world? It is cultural – it’s part of their everyday life. Now let’s discuss about Farafina; what is the background for the birth of the musical group Farafina? So did you mean the traditions were already musical at the very beginning? Every ethnic within the country has its own tradition… In Burkina Faso, there are 64 different ethnic groups; so imagine the richness of diversity there! Burkina Faso means the country of humble people. So those rituals are part of where your members have their musical training? Yes, definitely! But it’s there… in their life daily. When you walk down the street in the neighbor called “Bolomakoté,” you hear music; Farafina is from there—the city called Bobo Dioulasso—the cultural city. And align with the international recognitions as a musical group since the early 80’s, we also heard about the infamous “Farafina school” that intended for professional and aspiring musicians in Burkina Faso; can you tell us more about it? And in what way does it relate to your musical continuity? It’s not a school where you leant how to read and write—it’s more for the youth who is close to the group—and when the elder are finished with the rehearsal, the younger now take the instruments and play. So when Farafina needs someone to replace one of the musicians they choose the replacement from the young one listening to the elder and being from the school. To get a better perspective, in Bolomakoté everybody know each other and their families, so they know who is inclined to become a good musicians or dancer… and who has discipline! You cannot just be a good musician; you need also discipline and hard work. Such a very inspiring City Bolomakoté is! Yes, you should go there. Would love to! And during the Farafina’s odyssey for more than three decades now, what are the changes that occur within the group? So the intergenerational value is very much the same with how they live their daily life? Yes. The respect of the elder. Moving on, the music of Farafina are very much associated with the elements of African roots music—the polyrhythmic sound, and the heavy use of traditional instruments such as Balafon and Djembe; Do the growing use of electric instruments and amplifications affect the acoustic features of Farafina? 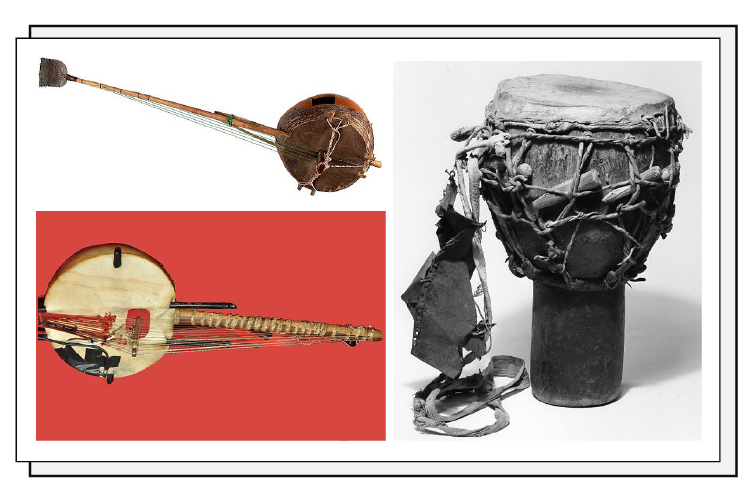 Farafina kept the traditional instruments and this is their power; they respect what others do, they also can work with the electric instruments. But they always wanted to keep the traditional instruments to stay close to their roots and African identity; they do not want to leave the tradition because they feel they would loose their roots. During the last few decades, there are many musicians trying to combine traditional and “modern” music—perhaps most of them have been the “modern” music trying to incorporate traditional instruments—in order to achieve some kind of a new form of music; any opinion about this matter? We understand why they added those electric instruments to the tradition—Farafina did an album with some modern instruments but when they tour it is totally traditional—they can also work with modern instruments to go some other places musically. Music has no border, and it is universal… but the roots will always be their base. Nowadays, music in general seems to transform into a mere “entertainment” product and income generating activity, while the spiritual aspect of music continue to disappear; does this happen to African roots music as well? Certain people yes probably, but not with Farafina. 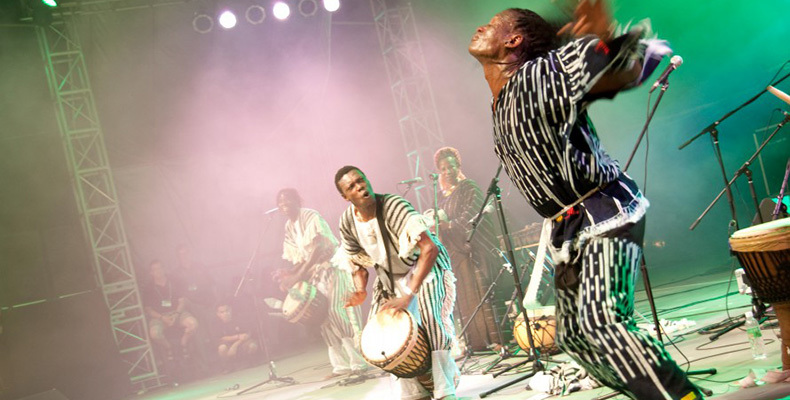 Farafina is “modern” with traditional instruments – they have changed a few of the rhythm, but the spiritual side and cultural aspect is there. Yes, I noticed… so can you tell us how does Farafina face all challenges that the future may bring? Yes, they have faced lots of challenge – with the experiences they had, they have changed a few musical aspects and they hope that the public who follows the group will find harmony and satisfaction. The challenges were to not fall into changing direction totally—get into electronic—but it is good to collaborate with any musicians or groups, so to say that even with traditional instruments they can meet with electronic and modern music; so collaboration are so important to us, as we did with Jon Hassel, with Ryuichi Sakamoto, with the Rolling Stones, etc. Yes! Would you explain one or two collaborations in which you gained great experiences? Then they met others musicians like Daniel Lanois, Rolling Stones, (Ryuichi) Sakamoto – this was an AMAZING musical and human experience. We also see a tendency on which “Fame and fortune” seem to replace passion as the instrument in measuring the “success” of an artist. How do you respond to this matter? We all want to make decent money… but we can also have money by keeping the tradition—we cannot abandon where we come from—one day we can loose everything, but never where we come from. Any dreams that are now being pursue to be achieved in the future? The dream never stops… they want to continue to tour the world, and really want to continue collaborating with others musicians. Farafina also have traveled distances to perform, and have had many chances in getting familiar with music of other cultures. Are there any of them that inspire or impress you more than the others? And why? It would be a dream come true to see Farafina do performances and collaborations! Anyway, you came to and performed in the Sacred Rhythm music festival in Bali, Indonesia, at the turn of the year 2000; would you join again if Sacred Bridge Foundation organized another cultural event? OF COURSE !!! We LOVED it!!! Great! So any messages you would like to say to the audience? The message is that—life we live now—we should all hold hands, and move forward together… some places in Indonesia is so inspiring! And union makes us stronger. And last but not least, any words for Listen to the World? Thank you for your interest to the music and Farafina. And of course, thank you for your contribution to the world of music! Since when do you manage the activity of Farafina music group? Ah, so… And why are you interested in managing Farafina (compared to other music groups in your country)? It happened this way and since we met, we created a link that is still alive—my mother has her roots in Lybia and Sicily… so maybe it is my African ancestors coming alive through Farafina. What are the unique challenges that you face while managing Farafina? But musically, when I see them on stage I know why I work with them… they make me proud and the feeling I have when I see them is powerful! So do you mean that as a manager, you have to have the connection with the music itself? So how do you, personally, perceive African roots music? African roots music…well, as we said, it is different from different countries; African has 50 countries, so things are very different from North to South… but I really like the traditional music with not electric instruments. So I supposed the music, and the culture, were already in your blood too? Burkina Faso is home to more than 60 indigenous ethnic groups (64 as you mentioned earlier), and not to mention the unpleasant economic reputation among other nations in the world. However, it has known peace that some of its neighbors can envy. How do you reply to this matter? Does music gave a crucial role in maintaining such stabilization? Well, I don’t think so… it is also an internal country with no access to the ocean… so less people and more peace. Oh, I see. Do you live there also? No, I have been there many times but I know them pretty well – I live now in Switzerland… used to live in New York too. Ok Denise, last question, as a manager of such a unique musical group, what is your expectation(s) towards the music “industry” in the future? Great! We hope things are going your way Denise! Okay then, that would be all. Again, thank you very much for such an inspiring interview!